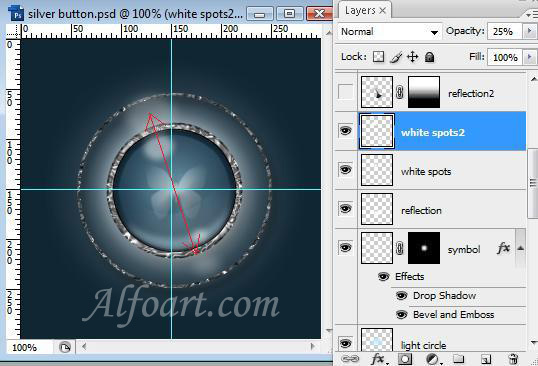 Duplicate the layer with white spots and transform this layer. Ctrl + click on the layer with gradient. 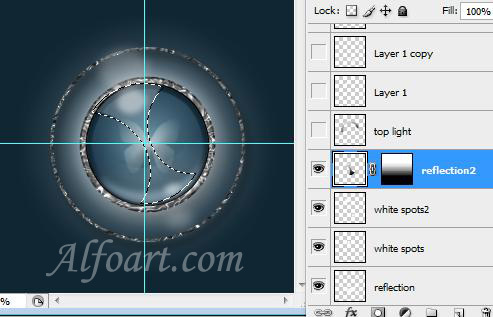 In the options bar, select Subtract From Selection Area button and cut out round areas from both sides of the circle. 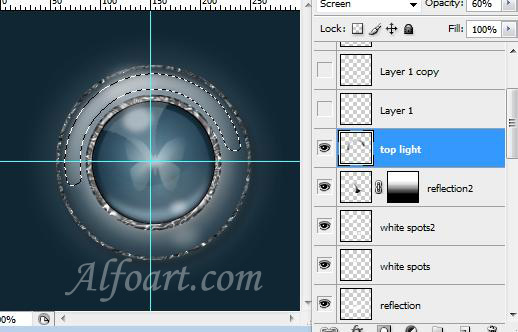 Fill it with light color (Opacity 14%). Fill it with linear black/white gradient just like on the picture. 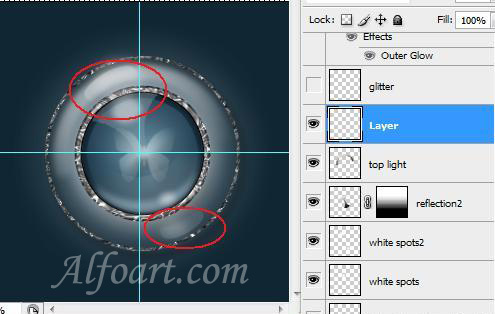 Ctrl + click on "button shape" layer. Select > Modify > Feather (4-6). Fill selection with white color. Opacity - 70%. 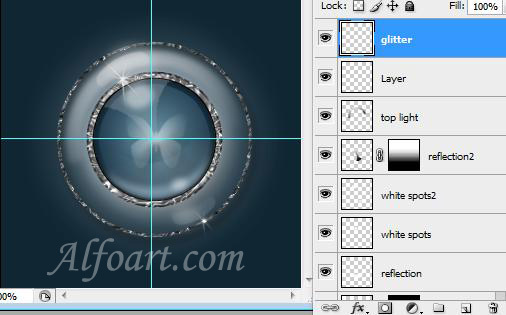 Add a flashing using Starburst brush from assorted brushes.